The future of Erasure albums,whatever will be next? 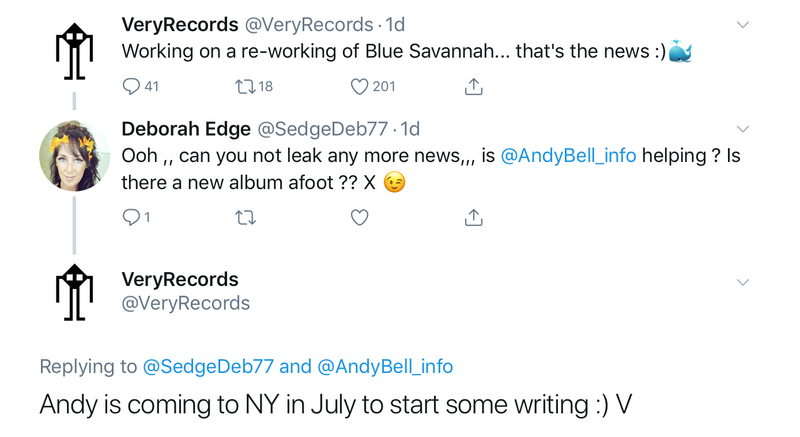 Writing in July for new album. Well, we don't really know if it's BS...Freudian slip there. Wonderful news!! You just made my day. Happy Spring everyone! I should be back home by June so maybe I'll see the Boys around town!